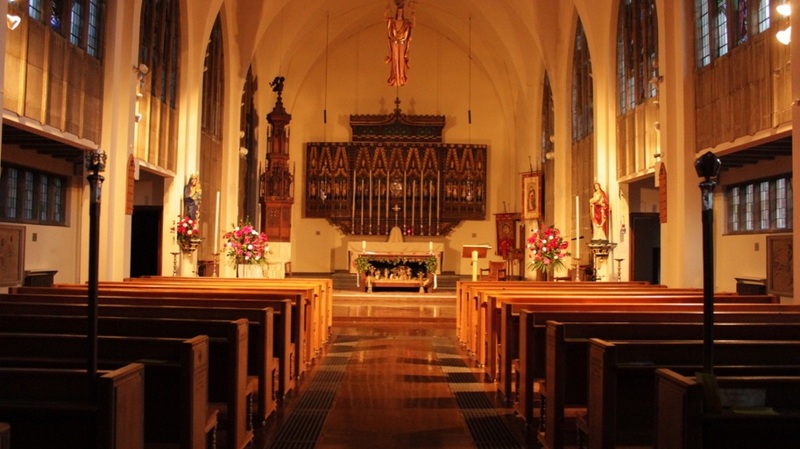 St Agnes, Kennington Park is a Church of England parish church and we worship here in the catholic tradition. This means that the sacraments are very important to us, particularly the Mass and Holy Baptism. At Mass we receive the body and blood of Our Lord Jesus Christ made present in the bread and wine consecrated through the liturgical action of priest and people. At Holy Baptism we are born again in the Spirit and begin our journey of faith by being incorporated into the life of the Church. The architect was George Gilbert Scott and St Agnes' was regarded as his masterpiece. Internally the Church was 140 feet long, 63 feet wide and 65 feet high. It could seat 1,000 persons. Most of the internal decoration and all of the glass was by Charles Eamer Kempe. The Church immediately began to attract visitors. The Dean of Westminster, Dr Stanley, was in the congregation on the first Sunday after the opening. The Church was of Cathedral proportions (the height of the roof exceeded that of eleven Cathedrals!) and was greatly admired. From the outset, St Agnes was conceived by Fr. Going as a possible refuge for his own parishioners in the event of Catholic worship being suppressed at St Paul's, Lorrimore Square. These were difficult times. Priests had gone to prison for wearing vestments and riots had taken place at St James', Hatcham where there were frequent protests against the Catholic teaching and practice. Fr. Going knew that his work at St Paul's could be undone when he left there. Most Bishops (then, as now!) were not in sympathy with the ideals of the Catholic movement working through the people in the pews. The immediate concern was alleviated when in 1878 Fr. Going was able to exchange his living with Fr. WP Cay-Adams the Vicar of Hawkchurch, Dorset. However, in November 1880 Fr. Cay-Adams was taken ill and died. He was buried at Hawkchurch by Fr. Going. The following Friday a letter was received from the old Vicar of St Paul's, Fr. Going. In the letter he begged the people of St Paul's to make no further trouble but to go in one body to St Agnes'. 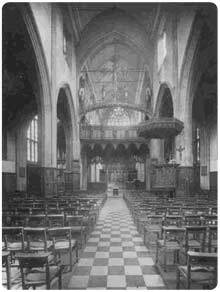 On Sunday December 5th 1880, the Second of Advent, the whole congregation of St Paul's were at St Agnes'. There were no services at St Paul's because the Churchwardens refused to be responsible for any riot that might take place, at 11am a mob from Deptford arrived but finding nothing going on they dispersed. The following Sunday only five people attended the first service taken by the new Vicar of St Paul's. The Bishop had succeeded in suppressing ritual at St Paul's but at considerable cost. 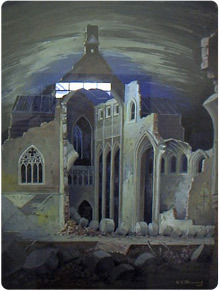 These events further strengthened the position of St Agnes' as a focus for Catholic worship.